From the Beat of 24th and Mission is the official blog of Dance Mission Theater. Dance Mission Theater is a non-profit, multicultural dance center located in San Francisco’s Mission District. 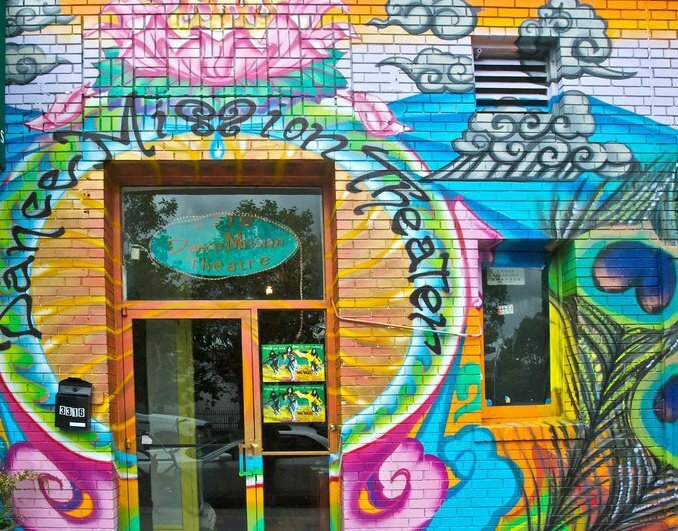 In addition to offering a full range of adult and children’s classes, Dance Mission Theater is available to rent for performances, rehearsals, workshops, and other events. It is also the home of Krissy Keefer’s Dance Brigade, San Francisco’s groundbreaking, social-change oriented modern dance company. For more information, visit: www.dancemission.com. This blog was founded by Noelle Durant. Content on this blog is authored & edited by Noelle Durant and Stella Adelman. Blog posts are managed by Christine Joy Ferrer, Founder and Editor, www.eyesopenedblog.com.